March 7th, 2010 Posted in reusing | 7861 Comment »http%3A%2F%2Fwww.ecojoes.com%2Fnot-paper-not-plastic-its-las-tik%2FNot+Paper%2C+Not+Plastic%2C+its-laS-tik2010-03-07+23%3A07%3A32ecojoehttp%3A%2F%2Fwww.ecojoes.com%2F%3Fp%3D786 Make sure you like EcoJoes on Facebook to stay updated on green ways to save money and help the environment. Just click the "like" button below. Muchas gracias! Do you feel like great waves of eco-shame wash over you every time you go to the grocery store and realize that you’re about to use disposable paper or plastic bags instead of a reusable bag? 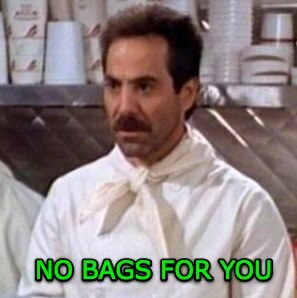 You want to be “green” and forgo disposable bags, but the lack of style in reusable bags makes you cringe? I don’t feel like this, but if you do care about style and going green, its-laS-tik bags may be the way to go for you, my friend. I got one in the mail a few weeks ago, and have been testing the heck out of it. Its-laS-tik bags are strong, stretchy, and made in the good ol’ U.S. of A. I opted for the manly camouflage bag, but they also have a bunch of different patterns and colors of bags available, including bling gold. So if you’re trying to make the jump to using reusable bags and saying goodbye to disposable ones, its-laS-tik bags could be a good start for you. 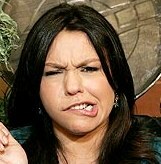 And that’s all I got to say about that. November 17th, 2009 Posted in animals, cleaning, paper, reusing, save money | 740No Comments »http%3A%2F%2Fwww.ecojoes.com%2Fhomemade-cat-litter-from-reused-newspaper%2FHomemade+Cat+Litter+from+Reused+Newspaper2009-11-18+03%3A21%3A59ecojoehttp%3A%2F%2Fwww.ecojoes.com%2F%3Fp%3D740 Make sure you like EcoJoes on Facebook to stay updated on green ways to save money and help the environment. Just click the "like" button below. Muchas gracias! Cats. Can’t live with them, can’t live without them. These fine feline friends are great pets, but when it comes to cleaning up their god dang litter, that is certainly not the cat’s meow. Not only is cat litter not great fun to clean up (and buy), but most clay-based kitty litter is made from clay that is strip mined from the Earth, which is horrible for the environment. The U.S. Bureau of Mines estimates that in 1994 alone, approximately 1.5 million metric tons of clay was mined to make clay cat litter. A good way to avoid clay litter, and to reuse, is to just use old newspapers as cat litter. Here’s how to make your cat(s) some homemade newspaper cat litter. 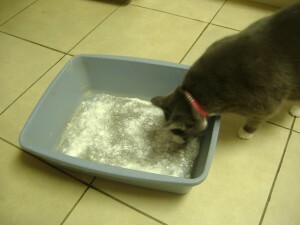 1) Sprinkle some baking soda on to the bottom of an empty litter box. This is optional, and helps absorb some of that atrocious cat pee smell. 2) Tear newspaper into narrow strips (less than an inch wide). Pro tip: It’s a lot easier to tear vertically than horizontally. 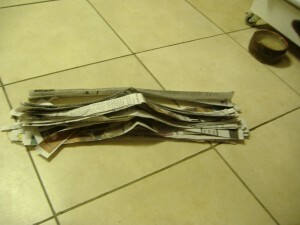 3) Use your hand muscles to tear those newspaper strips into pieces that are about half a foot long. Use a ruler if you want to, kitty will appreciate the extra precision. 4) Make it rain. Flutter, throw, or somehow get all that newspaper into the cat litter box. It should be over halfway full (it’ll flatten a lot when it gets wet). Et voila, you are finished. It’s recommended to change the wet newspaper daily, or else it’ll stink up your house. Hopefully your cat will give the newspaper litter the ol’ thumbs up, and you’ll be on your way to a greener kitty litter box. May 4th, 2009 Posted in food, free, reusing | 655No Comments »http%3A%2F%2Fwww.ecojoes.com%2Ffree-reusable-tote-bag-from-rachel-ray%2FFree+Reusable+Tote+Bag+from+Rachel+Ray2009-05-04+18%3A32%3A38ecojoehttp%3A%2F%2Fwww.ecojoes.com%2F%3Fp%3D655 Make sure you like EcoJoes on Facebook to stay updated on green ways to save money and help the environment. Just click the "like" button below. Muchas gracias! 1. Buy a Kraft Foods brand product from this list.